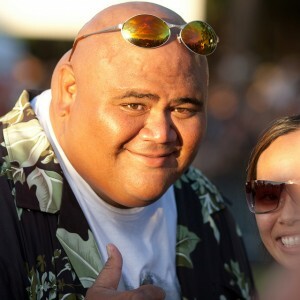 Taylor Wily, who plays shave ice entrepreneur Kamekona on CBS’ reboot of “Hawaii Five-0,” is hosting a “Wrap ‘Um” party to close out the second season of the show on Saturday, April 21. The event will feature live music by Fiji, a red carpet with photo ops with Wily and other “exclusive guests,” T-shirts and other swag, and drink and food specials courtesy Gordon Biersch. Discount advance tickets are available online for $25, and admission at the door will cost more.